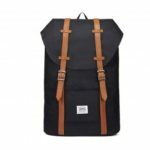 Well crafted from high-quality polyester, this backpack is durable to use. Wide adjustable shoulder straps reduce the burden of your shoulder. The USB port offers easy access to charge on-the-go. Unique luminous design will make you more fashionable and attractive. 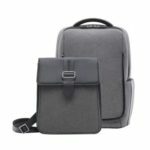 This backpack is suitable for various occasions. 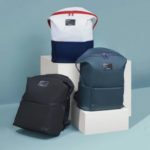 Made of high quality polyester fabric with metal zippers, very durable. 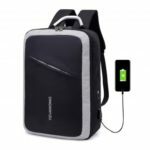 With built in USB charge jack outside and built in detachable charging cable inside, this USB backpack offers you a more convenient way to charge your phone while walking. You can see the cartoon image clearly in the dark, very stylish. 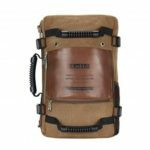 Multi-pocket design, easily to classify your different items. 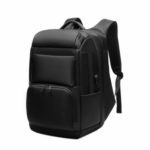 It can easily accommodate laptops, iPad, cell phone, charging treasure, camera, umbrella, water cup, wallet, 5-6 books at the same time. You can adjust strap length according to your needs, reducing the burden of shoulder.